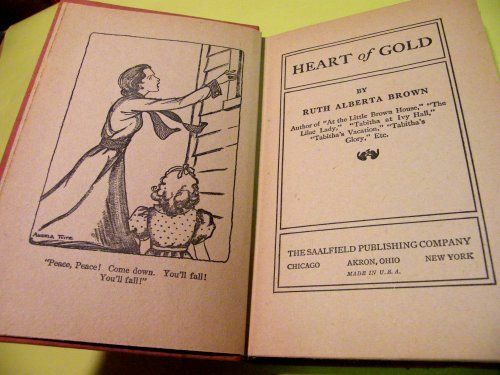 Ruth Alberta Brown wrote children’s stories in the early 20th century. 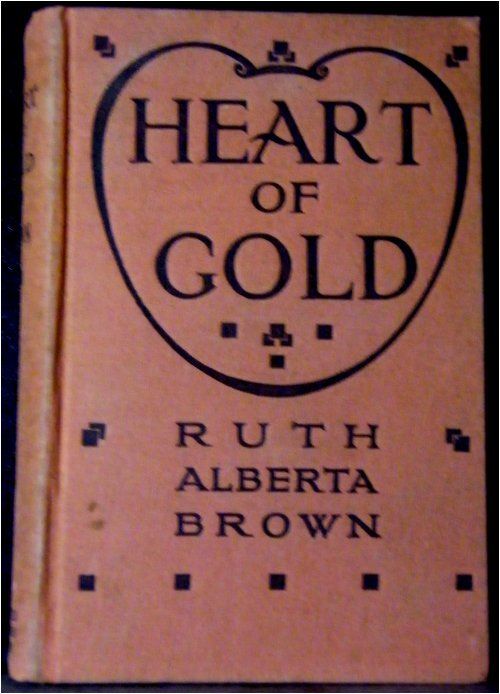 Her stories include Heart of Gold, Tabitha at Ivy Hall, Tabitha’s Vacation and The Lilac Lady. Published by "Saalfield MCMXV" (1915). 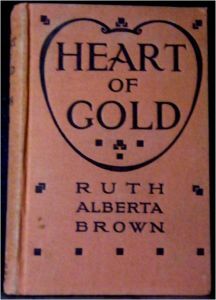 Inscribed as gift, inside front cover with date "1937" indicating date the book was given. 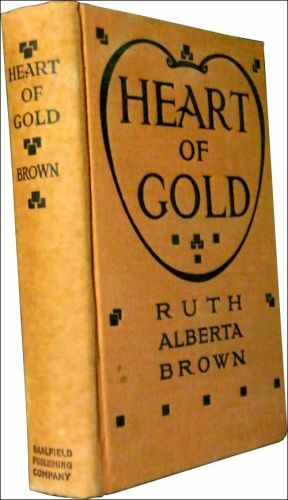 This edition is collectible due to the scarcity of this printing in hardback version. Format: Orange cloth-covered board covers with black stamping. No dust jacket. Condition: Good. Pages very yellowed with age, binding split at front cover, page edges soiled. 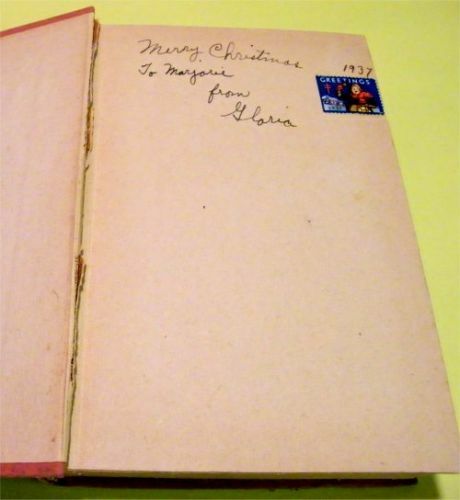 Personal inscription in ink on front flyleaf next to a 1937 Christmas Seal affixed.